The future is very promising for industrial lighting. Discover why we love the industrial style so much! It’s no joke that industrial lighting design style is a trend that is here to stay! And we are totally into it! But how can you pull it off in the best way possible? That’s what we are here to show you today. Keep reading and you will figure it all out! Check Also: IF YOU HAVE BEEN DREAMING ABOUT NEW YORK INDUSTRIAL LOFTS, WE GOT YOU! If you want to update your interior design to inject some industrial cred into your entrance hall, you can do like this picture and put some wall lamps. The light effect it’s really beautiful and this kind of lamps occupy less space in every room you want to put them. The end look you’re going for, and how much work you want to do, will ultimately determine which style of vintage industrial lighting you choose. This is why we want to suggest you a look. 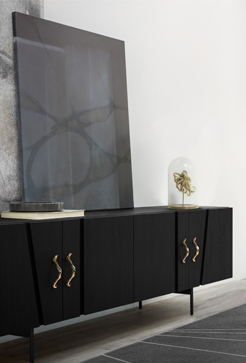 We suggest you the Hanna wall lamp by DelightFULL’s Heritage Collection. This lamp will give THE look to your hallway. This space it’s meant for you to take your time, relax, and enjoy your home. So we present you the new trend of house design when it comes to light up your living room. Once again, people are beginning to adapt wall lamps more than the suspension ones, because they took to much space. Nowadays, there are endless modern, contemporary and ‘edgy’ styles of wall lights, all of which to suit a variety of different living space themes and styles. However, we are especially in love with this industrial lighting design. We suggest you the Galliano wall lamp by DelightFULL’s Heritage Collection. This lamp will give THE look to your living room. This is one of the places in your house, that you are allowed to hang an industrial lamp. You need light lighting up the table so makes all the sense a suspension lamp pointing to the main space in the room. Because it’s a big part of the house, you need to be careful with which lamp you choose. The trend this year is pendant lamps in the dining room and the kitchen and you can find amazing ones at many lighting stores. 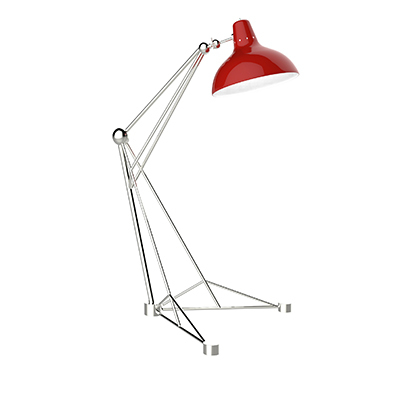 We suggest you the IKE suspension lamp by DelightFULL’s Heritage Collection. This lamp will give THE look to your dining room. Welcome to our favorite part of the house. On one of the previous posts we wrote, we told you that the kitchen is our big pleasure. And here we are again falling in love with another kitchen, this time with an industrial design. 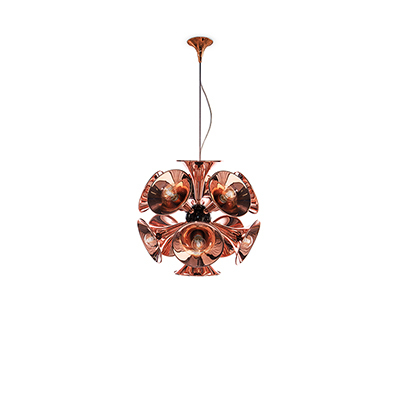 As we said, the trend this year is pendant lamps in the kitchen’s balcony. This division of the house is pretty empty, so a suspension lamp or two will fill the place and make it look even better. We suggest you the Madeleine suspension lamp by DelightFULL’s Heritage Collection. This lamp will give THE look to your kitchen. Even though the bedroom is one of the most private rooms in the entire house, that doesn’t mean that it can be neglected in terms of beauty. In fact, seeing as it’s the space where you go to every day to recharge and relax, it needs to have a certain element of style, yet also practicality. The suspension lamps still winning in this division. They fill the room and transform it into a little more modern space, even with industrial designs. We suggest you the Pastorious wall lamp by DelightFULL’s Heritage Collection. This lamp will give THE look to your bedroom. Since the bathroom is usually one of the smaller spaces in a home, we thought to show you how wall lamps are taking over, not only in the industrial style but in every style. Once again, these kinds of lamps are being chosen to integrate a division where there is no much space. It’s very important that the lighting design perfectly fits the room and give it some practicality into the bathroom. We suggest you the Charles wall lamp by DelightFULL’s Heritage Collection. This lamp will give THE look to your bathroom.